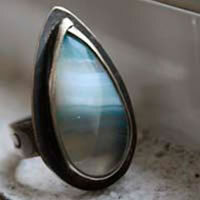 The blue agate is a type of silica that settles in the holes of rocks (by a volcanic process) in concentric layers of chalcedony and quartz with different hues of blue color. 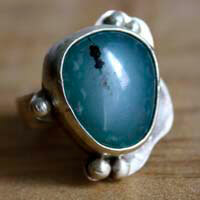 It has been used for ages in jewelry and more especially by the Egyptians to make their famous scarabs. Mines: Madagascar, Switzerland, Italy, Uruguay, the USA and Brazil. 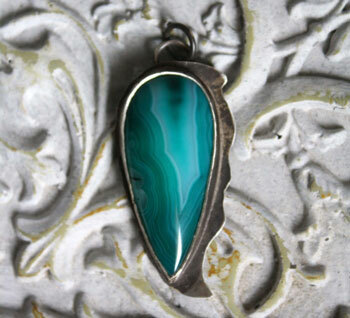 It would help to cure throat problems, more especially if it is worn as a pendant. 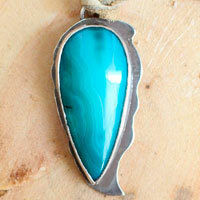 The blue agate helps to eliminate the nervous system and hair problems. For the properties about the blue color, click here.